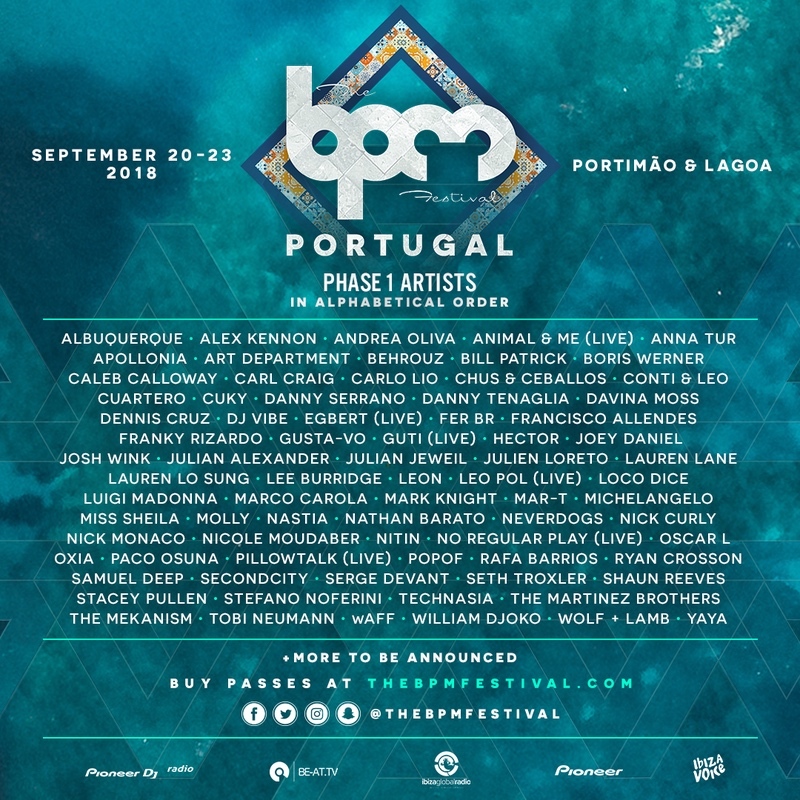 The BPM Festival: Portugal has locked in more than 50 artists, including Carl Craig, Loco Dice, Seth Troxler and Paco Osuna, for its initial line-up. The festival makes its return to Europe for its second year, scheduled to take place between 20th and 23rd September across eight venues in Portimão and Lagoa on the Algarve coast in Portugal. The phase one line-up also includes BPM Festival: Portugal regulars like Art Department, Apollonia, Chus & Ceballos, Danny Tenaglia, Hector, Josh Wink, Lauren Lane, Lee Burridge, Loco Dice, and Nastia, as well as festival first-timers including Marco Carola, Mark Knight, Nicole Moudaber, The Martinez Brothers, Wolf + Lamb and more. The festival will also host showcases from labels and party brands as well as its signature events, all to be announced in the future. Originally started in Mexico, the BPM Festival expanded to Portugal for the first time in 2017, with an inaugural line-up that included Richie Hawtin, Paul Kalkbrenner, Eats Everything, Skream, Anja Schneider and more. View the full BPM Festival: Portugal 2018 line-up below. Tickets go on sale Wednesday, 25th April, at 4am EDT/9am BST/10am CEST. For more information on and tickets to the festival, visit the official website.